Here are the latest projects in yarn. Even though I haven’t updated my blog in a while, I have been busy crafting. Granted, I haven’t had a lot of time to do it but the least I can do it post them. 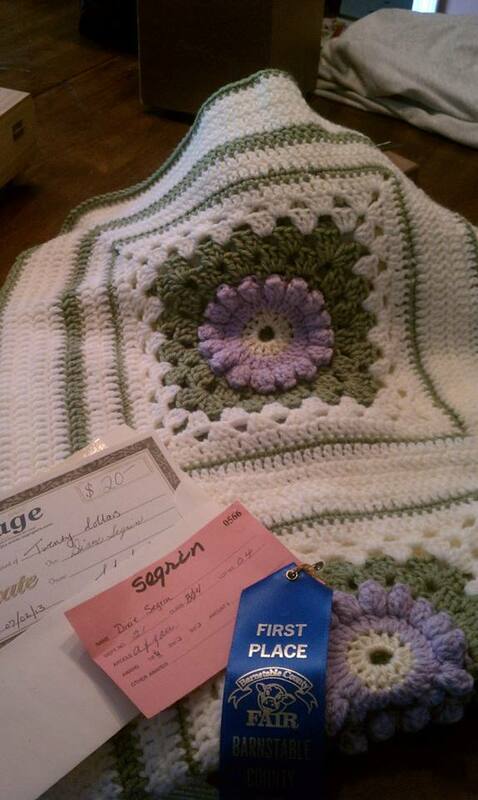 Pictured to the right is my most recent creation, a cable knit baby blanket. 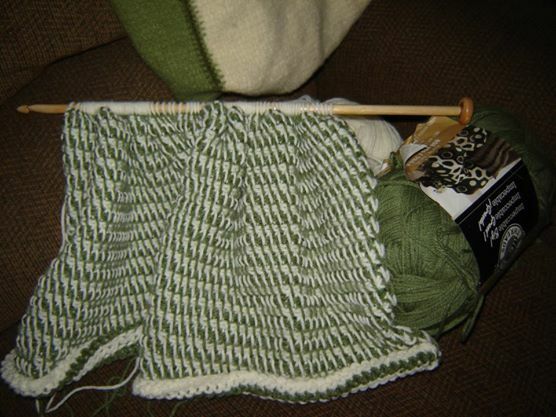 I’ve never been much of a knitter but have always been intimidated by doing cables so, since a friend of mine at work is preggers, I decided to take the plunge. Much to my surprise, it was incredibly easy to do! Since I’m not one for following patterns, I decided to design my own and this is what I came up with. It looks incredibly difficult but I’m very happy with how it turned out. 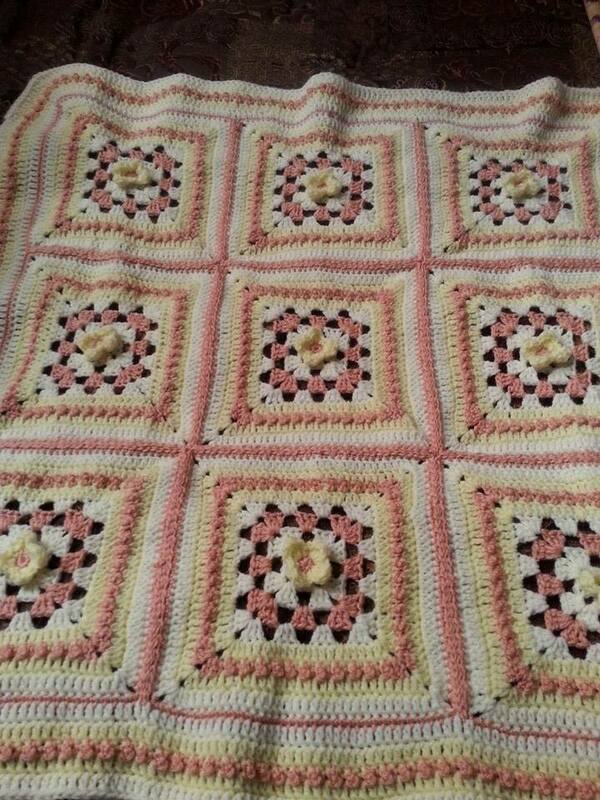 Again, this is another granny square baby blanket for another of my co-workers that had a daughter on the way. When I asked him what colors his wife liked and what the color of the nursery was, he said that she’s a big fan of pink and yellow. This picture doesn’t show the colors very well but trust me…it was REALLY pink and yellow! Again, no pattern…just winged it. 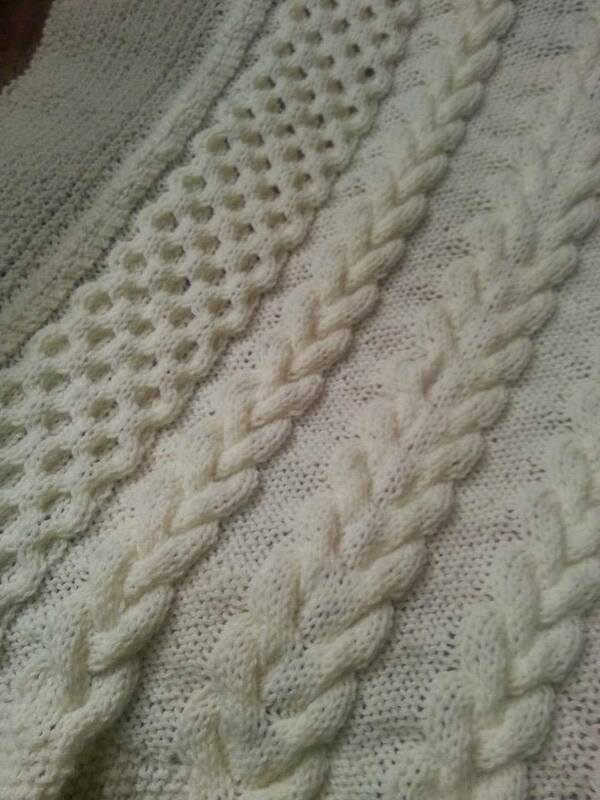 This is another baby blanket I made, during the creation process, in a different technique called Tunisian crochet. It’s actually a very old technique that was used quite a bit during the 30’s and 40’s but was called an afghan stitch instead of Tunisian crochet. By mixing up the colors, I found that it makes a lovely hound’s tooth pattern. I also made the crochet hook because, at the time, I couldn’t purchase one in the large size that I needed. You guessed it…no pattern! This is the final picture I’m posting. 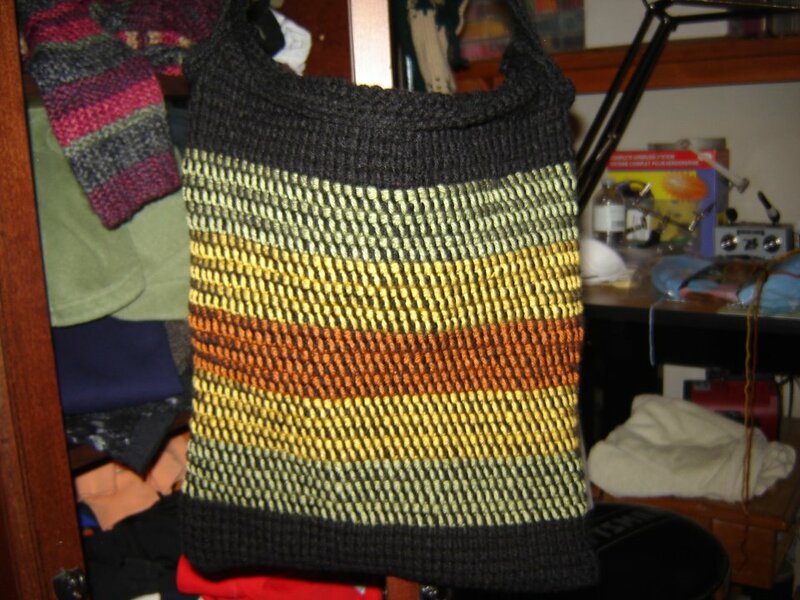 This is another example of Tunisian crochet, in the hound’s tooth pattern, but this is actually and handbag. I did make this with a commercially available crochet hook and it made a very tight and rigid fabric. I call this my “Dirty Hippy Handbag”. Once again, without fail, this one isn’t from a pattern either. So, there you go! I hope I made up for my absence by catching my blog up with my crafting activities. Thanks for looking! !